Businesses that offer Business-to-Consumer or Business-to-Business products both benefit from the right eCommerce order fulfillment solution. The end goal for both types of business is the same – customer satisfaction along with successful back-end solutions, including sales and marketing. Turning to third-party order fulfillment and connecting your shopping cart directly to the fulfillment center allows for seamless order processing and fulfillment, enabling you to offer top-quality customer service. 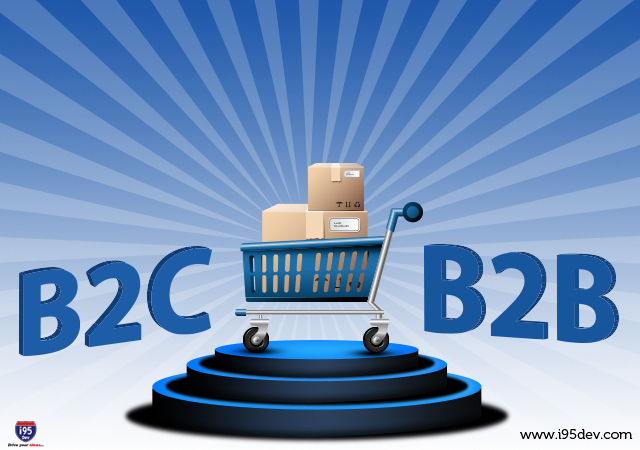 There are major differences between B2C and B2B order fulfillment. Consumer orders simply require receiving, stocking, shipping and supplying the appropriate tracking information to the consumer in real-time. The entire transaction is handled through a web interface, allowing the retailer and the consumer to be informed in real-time from start to finish. B2B, on the other hand, has many other factors to consider, such as the size of the shipment, the frequency of the shipments, including the variations in the times it is needed, dealing with various distribution channels and complex EC transactions. It can become a complex process for any retailer to manage both order fulfillment processes in a timely manner. There are a variety of benefits of utilizing real-time eCommerce fulfillment systems. It enables retailers of all sizes to be informed of the entire process from beginning to end. This allows retailers to offer up-to-the-minute information and answers to consumer questions if they were to call in for additional information. It also allows companies to keep track of orders in bulk, rather than requiring the need to micro-manage each order. When you integrate your shopping cart with order fulfillment, all management is automated, making it easy to gauge exactly where you stand at any point in time. It also gives retailers the ability to determine their level of shopping cart abandonment, allowing them to determine how to turn them into shopping cart conversions. eCommerce order fulfillment services offer customers real-time updates in the form of order confirmations, as well as shipping confirmations, to keep the customer informed. This is a successful method of offering top-quality customer service without having to put forth any effort; it is all automated. Automated fulfillment services can send up to seven delivery updates per day to the retailer. This allows you to stay informed of all transactions and where they stand throughout the day. Retailers realize many benefits to the automated fulfillment of their orders, including reduced operational costs and faster shipping times, enabling you to increase customer satisfaction and possibly sales. There are a variety of choices of eCommerce order fulfillment options, including paper-based solutions, RF-based, pick-to-light, pick-to-cart and voice-directed picking. The largest benefits lie in the smart-picking carts, pick-to-light or voice-picking solutions, allowing you to save on labor costs, therefore increasing your profits. The choices you make regarding eCommerce order fulfillment services could help you reduce your costs, increase your profits and decrease the unnecessary waste of labor costs manual order fulfillment can cost your company, whether you are dealing with B2C or B2B fulfillment.